WordPress.com offers a hosted (or “managed”) version of WordPress with a limited amount of control and themes. It’s free with paid-for addons. WordPress.org lets you install your own version of WordPress on your own hosting. From now on we’ll just call it “self hosted WordPress”. This requires having your own hosting and domain name (we’ll cover these later). There are many advantages to using WordPress.org. The additional flexibility gives you full control over your website – including being able to install any WordPress theme. Crucially, that includes all of WPZOOM’s WordPress themes. Are you currently using WordPress.com but want to switch to a self-hosted WordPress installation? Are you wondering how easy it would be to switch? We’ve got all the answers, but we’ll give you one spoiler: it’s really easy to switch to self hosted WordPress. Here’s what you need to do. Website hosting is just somewhere to store your website and a domain name is just a website address for people to go to. You might have previously used yourblog.wordpress.com, but you can now get yourblog.com. Pretty neat, right! You’ll need a hosting provider to store your website. Most hosts will also offer you a domain name as well. This is the only thing you need to pay for. There are lots of website hosts, but we recommend SiteGround. Getting set up with SiteGround is really easy: you can install WordPress in a couple of clicks. We’ve even got a video tutorial walking you through the whole thing. If you’re already using a custom domain on WordPress.com you’ll need to send the domain to your new hosting. You’ll find details how to do that with a domain purchased through WordPress.com here or for domains registered with a third party registrar SiteGround has details here. Next step is to prepare for the move! This is just a simple process of exporting your content from WordPress.com. Log into your WordPress.com Dashboard and go to the WP-Admin. Next, go to Tools and then Export. Select “all content” and then press the button to download an export file. You’ll now have all of your content downloaded onto your computer. 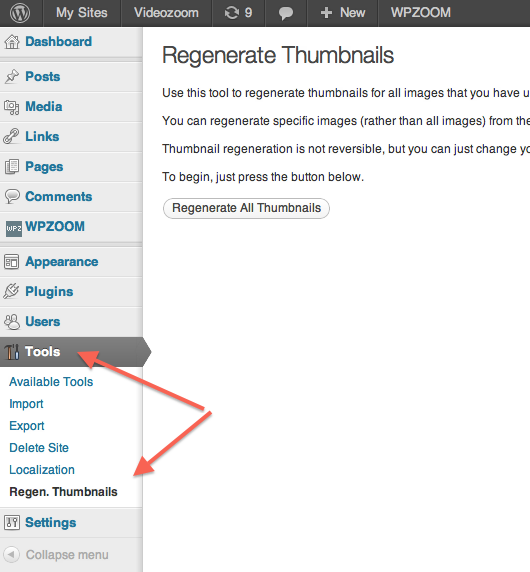 You now want to log in to the Dashboard of your new WordPress site and head to Tools and then click Import and WordPress. Choose the XML file you just exported, click “upload file and import” and make sure you select the option to “Download and import file attachments”. That’s going to make sure all of your images are copied over. 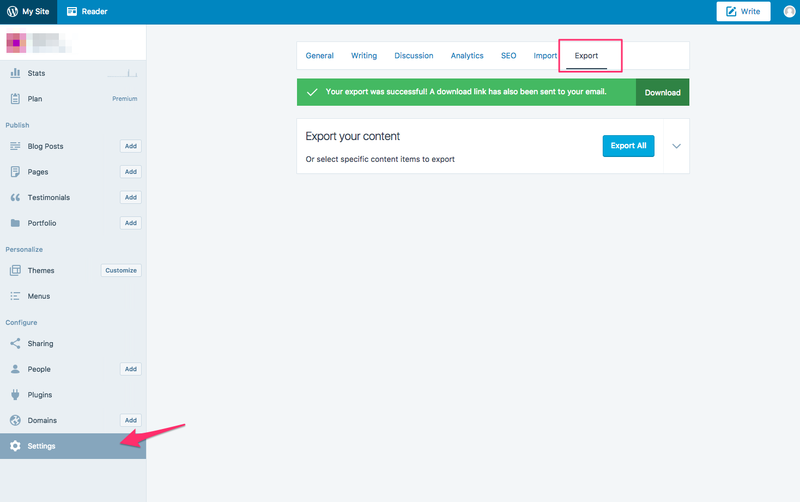 WordPress will then upload the file and you’ll have all of your content imported onto your new site. 4. 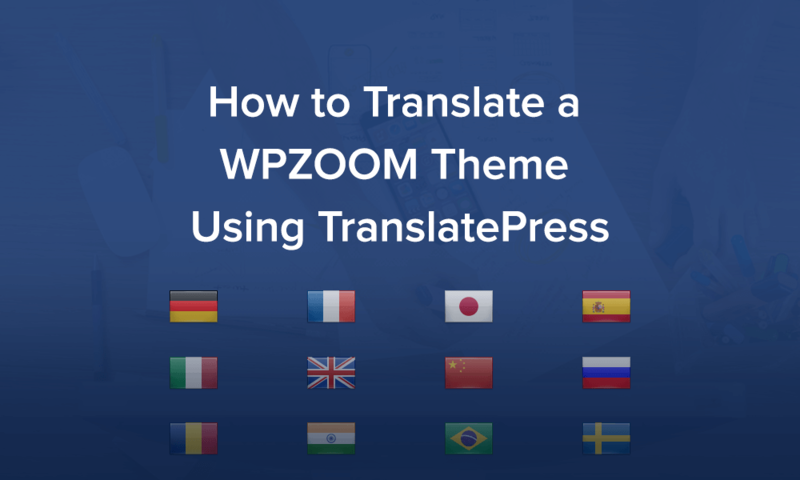 Install your WPZOOM theme and enjoy a beautiful new website! The final thing left to do is to choose a beautiful WordPress theme, install it on your site and enjoy your new website – and the full control you’ve gained. Switching from WordPress.com to self-hosted WordPress brings you a huge amount of flexibility. You’ve now got options to build your email list and install awesome new plugins and a whole bunch more. Luckily, as this guide has shown, it’s also super easy to do. Enjoy!